Why should you hire Kyle to speak? 1. He's the world's foremost expert on trading red paperclips for houses. 2. He's great at making numbered lists. 3. 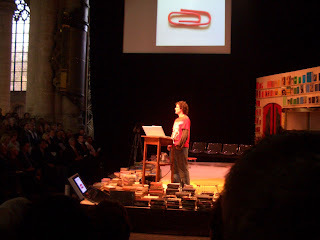 He'll present the red paperclip story live. The story has inspired millions of people around the world. Folks will not only imagine how they can achieve amazing results using creative and fun solutions to everyday problems, they get important information about how to put those ideas into action. "It is with enthusiasm that I recommend Kyle MacDonald to anyone looking for a very unique, entertaining, and inspirational speaker. Here's a sample of some of the feedback we received: "Kyle's presentation was the perfect ending to the conference," "Kyle's story was amazing - he's also a really funny guy!" and "I was impressed with his story-telling ability." Overall, Kyle's amazing story helped make our annual conference one of our most successful events so far." 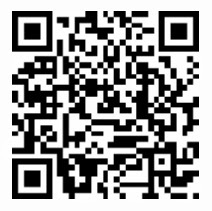 Brian Scuadmore, Founder and CEO - 1-800-GOT-JUNK? "Kyle MacDonald’s fascinating story about remarkable entrepreneurial spirit and thinking outside the box captured the undivided attention of all ages from beginning to end. Kyle’s charismatic approach brought his story to life while his creative and entertaining sense of humor engaged the entire audience in smiles and laughter. Following the event one spectator commented "how could you possibly top having Kyle MacDonald". A thoroughly enjoyable evening!" "Kyle is an inspiring storyteller with a wonderful message. His casually style is engaging and the lessons that he imparts are empowering for leaders at any level of an organization. I highly recommend Kyle MacDonald for any group looking for a bit of entrepreneurial mojo."